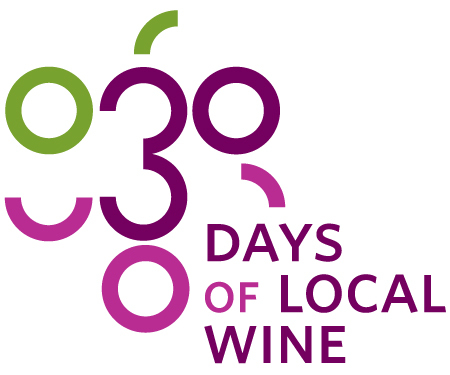 An All Canadian Bronze winner, the unoaked Chardonnay from Aleksander Estate Winery is full-bodied and dry combining red apple, rose water and honey notes with a soft finish. Retailing for only $14.95, it is sure to be a great match with pasta in a cream sauce, grilled salmon or crusty bread and cheese. Rinse the cranberries thoroughly and place in a bowl. Heat the syrup in a sauce pan just until it’s warm and then pour it over the cranberries. It is important to make sure the syrup is not hot or the cranberries may deflate. Once the warm syrup is over the cranberries, cool, cover, and let steep overnight. Once steeped, drain the cranberries. Place the sugar in a bowl and start adding the cranberries in to roll around until they are covered in sugar. Once complete, place them on a baking sheet until they dry, which should take about 45 minutes to an hour. 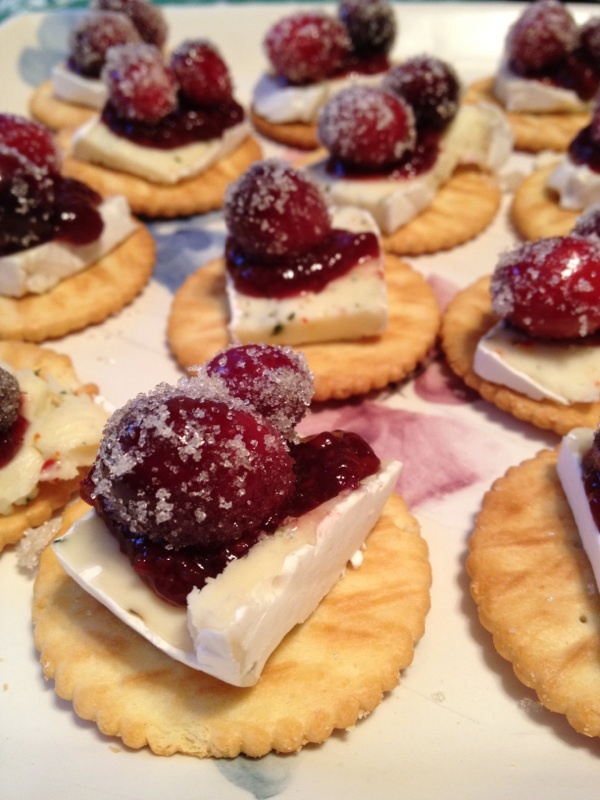 On each cracker, place a slice of brie, a light layer of the raspberry jelly, and 2 or 3 sugared cranberries.